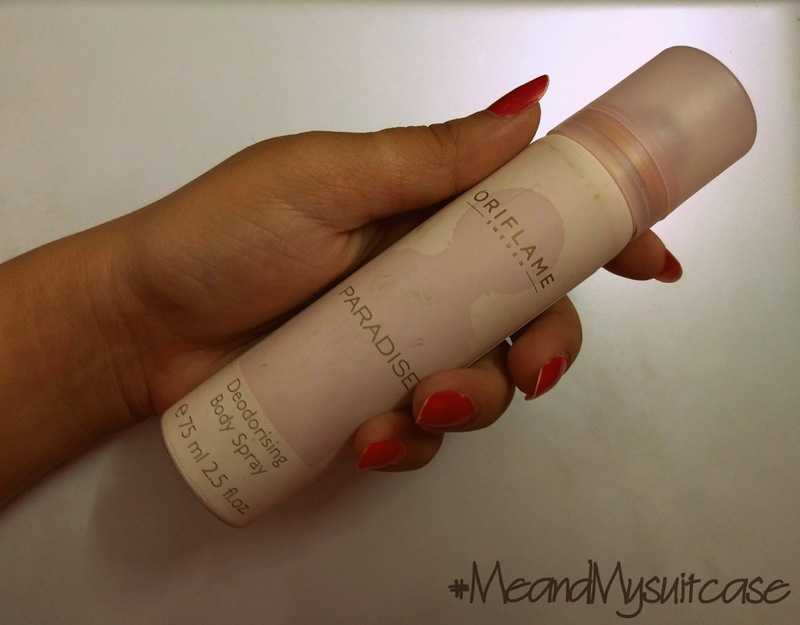 I am in Love again and this time with the Paradise Deodorizing Body Spray by Oriflame. The tantalizing fragrance doesn't allow me to buy any other spray. Have already finished two bottles of it now. It is soft and refreshing. Applying this deodorant makes my day. Its a catchy blend of flowers you will only find in the wild (away from daily hustle bustle) and woods. Defines luxury and blends with your body. This 75 ml bottle is traveller friendly, easy to carry and fits in your bag easily. No leaking problem for its unbreakable body and cover on the nozzle. Its worth the price (Rs. 299/-). You can wear it daily. Best for those who love soft fragrances. I couldn't find any except that it doesn't last long enough. Starts to fade soon (in 2-3 hrs).